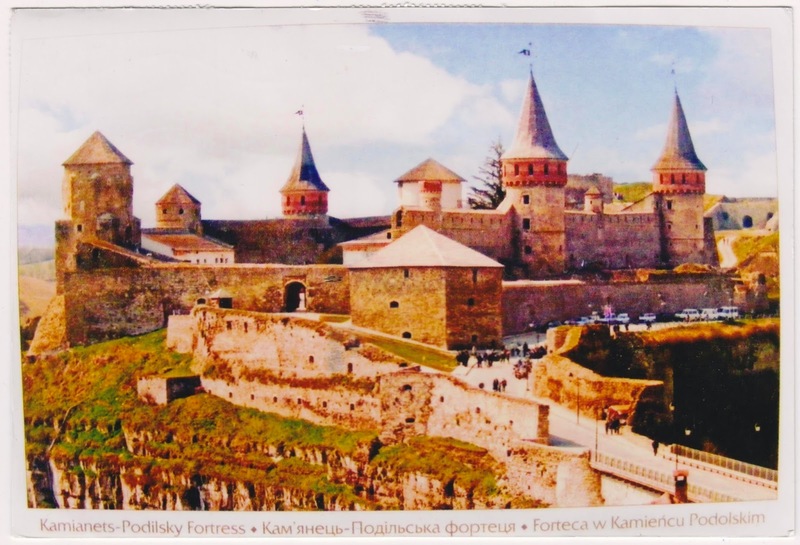 Kamianets-Podilskyi Castle is a former Ruthenian-Lithuanian castle and a later three-part Polish fortress located in the historic city of Kamianets-Podilskyi, Ukraine. Historical records dated the Kamianets-Podilskyi Castle to the early 14th century, initially built to protect the bridge connecting the city with the mainland. The castle is the most recognized landmark of the city and one of the Seven Wonders of Ukraine which consists of seven historical and cultural monuments chosen in a public contest in July, 2007. There were prior contests for the Seven Natural Wonders of Ukraine, the Seven Wonderful Routes of Ukraine, and the Seven Wonderful Castles of Ukraine. Dniester Canyon, one of Seven Natural Wonders, was featured in this blog. The postcard was a thank-you card for US-2452513. It was first mailed from Ukraine in mid-December, 2013. It appeared that the postcard made into the U.S. since the bottom of the card had one of those USPS barcodes. However, for some reason, it was returned to the sender in Ukraine. The sender mailed it a second time in an envelop on February 11, 2014 and I received it yesterday on April 5, 2014. The irony is that my first card sent out as US-2452513 was among the mass loss in early October, 2013. The card reached Ukraine on December 16, 2013 was a replacement card.